Use the StrataMap Archi plug-in to easily synchronise your models between Archi Tool and the StrataMap web application. StrataMap App works with the free Archi Tool (4.x and above). Download and install the latest version below. The StrataMap Archi Plugin is your quick and secure connection to StrataMap. (PC) In the Archi Application directory, open the Plugins folder. (Mac) You will need to highlight the Archi Application and right-button click, then select 'show package contents'. This will make your Contents > Eclipse > Plugins folder visible. Uncompress the stratamap.archi.plugin.ZIP file you downloaded and move the file (stratamap.archi.plugin_x.x.x.jar) into the Plugins folder from step 1. You will find a new StrataMap menu has been placed at the top of the screen next to the help menu. NOTE: Be sure to re-start Archi to initiate the plugin. Inside Archi Tool, you can now download your model from StrataMap App using the StrataMap Plugin (found in the header bar). Make changes in Archi and synchronise changes back to your StrataMap App model through the Plug-in or use the ‘Model tools’ button to Merge your changes directly in the App. Simple as that, you’ve just shared your work with your team and their work has been shared with you. While this is a simple process, we are working to make modelling as easy and seamless as possible. 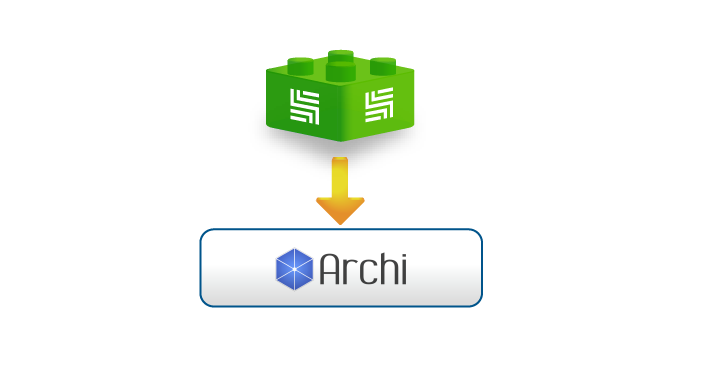 In the mean time you can keep using Archi to setup your models and sync with StrataMap.